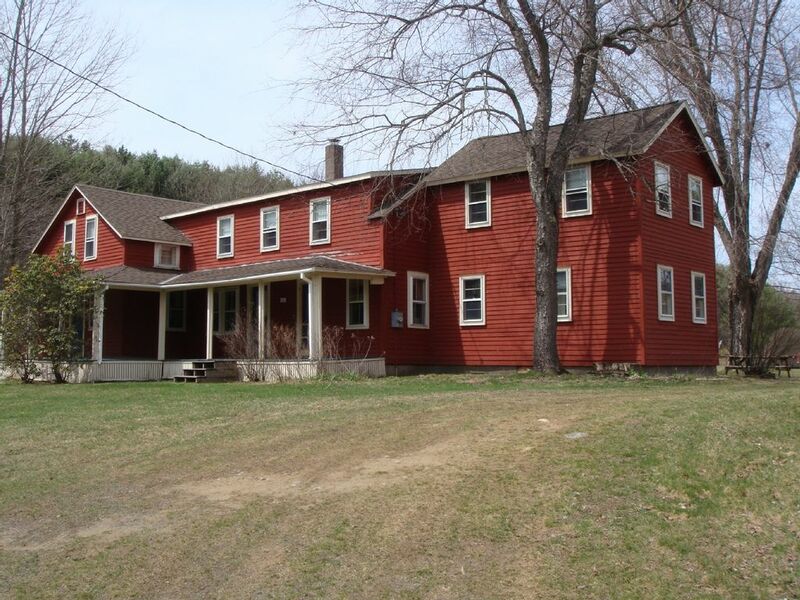 Relax in this 6 bedroom, 2 bath farmhouse located in a quiet country setting surrounded by tranquil woods and a fresh water pond. Private beach, plenty of fishing, swimming and outdoor space for a quiet and relaxing retreat. Large yard for baseball, volleyball, and all kinds of family fun. Canoe, kayak and rowboat life jackets provided. Bring your own canoe, kayak or sailfish (no motors). Only 15 minutes from Lee Prime Outlets. Close to Tanglewood, Jacobs Pillow, Stockbridge and other Berkshire attractions. We have satellite TV and DSL internet with wi-fi but don't forget your favorite DVD's , books, puzzles and board games. Blankets and pillows provided. Bring your own linens and towels. Washer/dryer, wood stove, gas grill, and kitchen supplies included. Bedroom 1 and 2 are on the first floor. Air Hockey Game and Foosball Table in upstairs game room and a multi-game table in the livingroom. Great location, nice peaceful setting on a large pond. Lots to do in the area, boating, fishing, horseback riding nearby. Great restaurants within a short drive, especially the New Boston Inn, in Sandisfield. No problem neighbors, big ample kitchen, large dining area and living room. Short drive from Lee Factory Outlets and several excellent restaurants and entertainment in Lee. Will definitely be back next year. We love Otis and the many great hikes in the area- Tyringham, Beartown, Monument Mountain. This was our 2nd visit to what my kids call 'the big red house.' We appreciate the charm of the place and that we all can spread out - both inside and out. We were thrilled with the addition of the swim-out dock since our last visit but really discouraged by the scourge of weeds in the pond, which made swimming unpleasant and fishing really challenging. It's fine for paddling, though, if that's all you want to do. We had a great week at this house! The yard was in constant use and very pet friendly! There were two fire pits and we used both. The weather was great that week and we were constantly outside. The house itself was huge! Plenty of room for our group of 10 and 3 dogs. Remember linens though! My husband and I came to get away for a few days and were very pleased. The house is large and cozy. The yard is beautiful and well kept. The owner was very attentive to our needs and we diffidently want to return with the rest of our family next year! If you want high-end perks and plush amenities, this isn't for you. But if you want lots of space, privacy and comfort you can't beat this place. 6 dads stayed here last October for a 3 day golf excursion to Western Mass and it was exactly what we wanted - a comfortable place to hang out at night without feeling cramped or crowded. Our only regret was that we weren't at the house enough during the days to take advantage of the huge yard and the pond. Dan (the owner) was a great host - since we had no issue with the house we never saw him, but he was very responsive to all our questions and easy to deal with, and even set us up at the golf course he owns nearby. We definitely plan on returning this year. Spacious House on Gorgeous Property! This large old house provided plenty of room for ten members of our family (four generations) to spend quality vacation time together. Whether rocking on the porch swing, slugging around on the living room couches, or spending long relaxing meals at the dining room table, there was never a sense of being too crowded. The property has an extensive backyard with apple trees and some picnic tables for enjoying the outdoors, and the private access to the pond and use of the canoe and rowboat was a real treat. Boating on the pond was enhanced by the fact that the pond is undeveloped and there were no other people around--just us and nature. Another thing--the outdoor fire pit was a wonderful experience, too. We built a fire on several nights and enjoyed roasting marshmallows and making 'smores under the stars. The house and property were all exactly as advertised--much to our surprise and delight. The place is well-maintained, and was clean upon our arrival. (We made sure to return it to that condition before leaving). Although there is an air hockey table and foosball table, we spent most of our time outdoors or on the porch (barbecuing). If the weather had forced us indoors more often, we might have taken advantage of those perks.